Home to over 7000-acres of land and located in close proximity to the Greater Boston area, the Blue Hills are one of Massachusetts’ most visited outdoor destinations. There are extensive trails for hikers of all ability levels- 125 miles of them to be exact. The Blue Hills are only a 30-minute drive from downtown Boston, so taking a day trip before making it back in time for the Sox game is completely reasonable. The Blue Hills is a destination that is about as historical as they come. Set aside for public use in 1893 by the Metropolitan Parks Commission, the Blue Hills had been home to Native Americans for thousands of years prior to the discovery of the Americas by European colonists. There are numerous historical Native American and colonial structures located throughout the Hills. 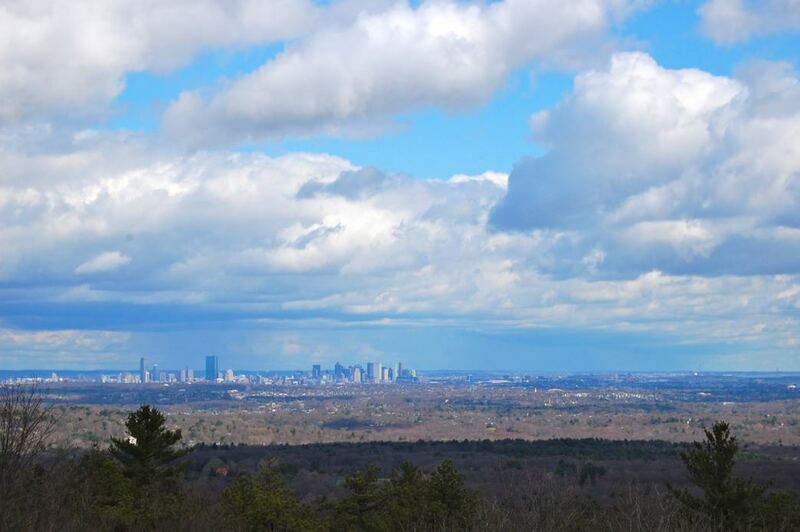 Additionally, the Blue Hills Weather Observatory, which is a National Historic Landmark, can be found at the top of Great Blue Hill. 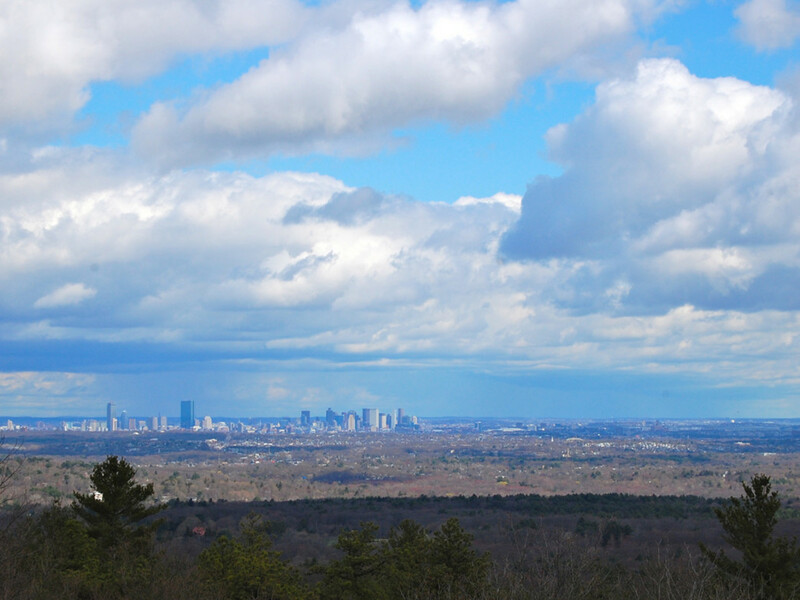 A great hike in its own right, the 635 foot Blue Hill summit will grant hikers who make it to the top beautiful views all the way to the Boston metropolitan area. With 125 miles of trails to choose from, hikers of all abilities are sure to find trails that are right up their alley. 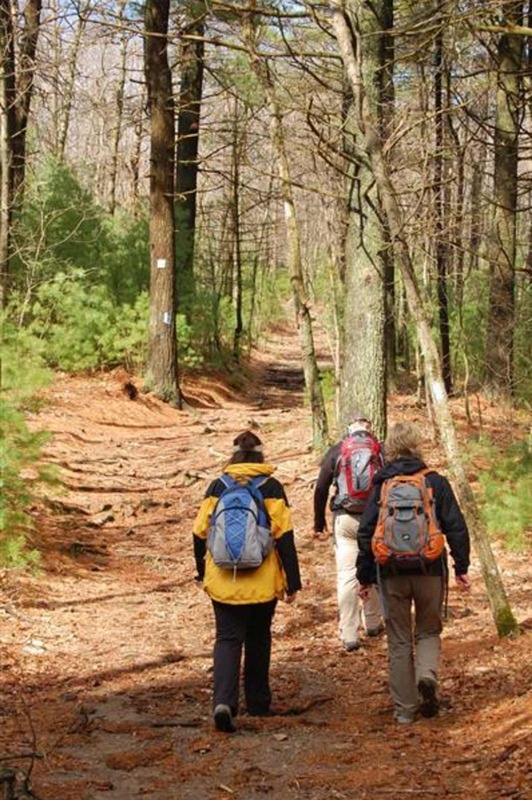 Families and larger groups are known to frequent to Blue Hills because of the destination’s well-marked trails, beautiful vantage points, varied terrain, and closeness to the city. If any of those features sound like something you might enjoy during your hike, then consider taking a visit to the Blue Hills when you find yourself in the Boston area. Directions By Car: Parking is located at 840 Hillside Street Milton, MA 02186. Take Route 93 to Exit 3, Houghton's Pond. Turn right at the stop sign onto Hillside Street. Houghton's Pond is located approximately 1/4 miles on the right; Continue 1/4 miles to the reservation headquarters on the left. Directions by Public Transportation: There are numerous trains and buses that will get you to various parts of the Blue Hills. For a comprehensive list, check out the Massachusetts Department of Conservation and Recreations website. The park is strictly open from dawn until dusk, so don't bother trying to hike after dark!